(CNN) - A Florida woman is suing her daughter's former health care provider and three of its employees, alleging the developmentally disabled 23-year-old was raped, impregnated and injured while in their care. The lawsuit, filed on behalf of the patient, says National Mentor Healthcare's Pensacola Cluster failed to take proper care of the woman, who has profound intellectual disabilities, a neurological disorder called Rett syndrome and other physical ailments. The patient is nonverbal and immobile, the lawsuit says. She also has trouble using her hands and arms. "Our client's mother is outraged and devastated by what happened to her daughter, and wants to protect her daughter from abuse and for her daughter to be safe," attorney James Green Jr. said in a statement Thursday. The Escambia County Sheriff's Office investigated the case last year and said it couldn't identify a suspect and had exhausted all leads. The daughter lived at the Pensacola Cluster intermediate-care facility from September 28, 2010, until February 7. On weekdays, she attended Escambia Westgate School, which is for people with intellectual and physical disabilities, according to the lawsuit. In late January 2018, Westgate employees who change the woman's diapers observed behavioral changes and physical injuries to the plaintiff, specifically bruising on her hip, the lawsuit says. They said she was crying and appeared to be in pain. The lawsuit says Westgate staff notified Pensacola Cluster in three phone calls and in an email with concerns about injuries to the woman. Despite the calls, the suit says, the employees of Florida Mentor, which is part of Boston-based National Mentor Healthcare, didn't report the woman's injuries to state authorities. The lawsuit also names Jennifer Prorock, an area director/administrator; Joyce Stokes, director of nursing; and Shaneice Pace, assistant director of nursing. CNN could not reach any of the women for comment. When the woman was sent to a doctor after the third contact from Westgate, an X-ray was ordered that uncovered a broken hip. She needed surgery, the court document says. During a pre-surgery check, medical authorities discovered she was pregnant and did a sexual assault exam. The lawsuit says the patient had a miscarriage, but it doesn't say when. The executive director of the Mentor Network, which oversees the Pensacola Cluster, said the facility is cooperating with the investigation and the company is committed to making a positive difference with patients. "We take our obligation to ensure the well-being of those we serve very seriously, including compliance with all reporting requirements," Carol Swanson said. "As part of our overall commitment to continuous quality improvement, we regularly review our protocols with the goal of enhancing the quality of our services and minimizing any risk to the health and safety of the individuals we support." The lawsuit asks for unspecified damages and for costs covering medical and legal expenses and money spent on moving the woman to a new facility. The mother is the legal guardian of the 23-year-old woman. The sheriff's office said in a social media post authorities using a sexual assault kit were unable to find someone else's DNA. "We are confident that all investigative leads have been exhausted," the department said on Facebook. In a follow-up statement Friday, the sheriff's office said it shared the public's concern about the alleged assault and subsequent pregnancy, and asked for "understanding of our legal restrictions in disclosing many aspects of this case." The statement also addressed concerns regarding the DNA analysis. "We will disclose that at no time was there any evidence made available from the pregnancy that would have allowed DNA testing," spokeswoman Amber Southard said. "Without the ability to establish a DNA profile of a suspect this procedure will not lend itself to identifying a suspect." Investigators conducted DNA analysis and interviews with people who had contact with the woman, the statement said, but there weren't any matches because the office lacked an "initial" DNA profile. A February 22 report from the Florida Agency for Health Care Administration found nine deficiencies at the facility. The agency's investigation also found that Westgate records indicate that employees at the facility only responded "OK" when school staff informed them of the patient's injuries. During an interview with a state investigator, Prorock said that after receiving an email from the patient's teacher, she met with Stokes and another employee and was told the patient had not acted "weird" during the weekend, according to the report. Prorock told the investigator that someone examined the woman's physical condition and found no problems. The administrator told an investigator she thought the woman's injuries may have been caused by an ill-fitting wheelchair. No one at the Pensacola Cluster took action regarding the injuries until after a state investigator came to the facility, the report said. Another review in March found the facility to be back in compliance and "all deficiencies were found to be corrected." "Because of patient privacy laws, we cannot comment on a specific case," said Shelisha Coleman, spokeswoman for that Florida agency. 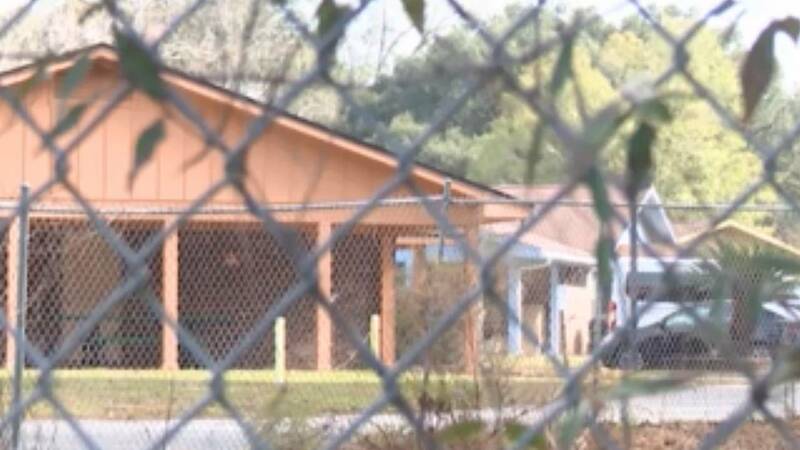 CNN was unable to reach officials at Escambia Westgate School for comment. Correction: An earlier version of this story misspelled Shaneice Pace's first name.